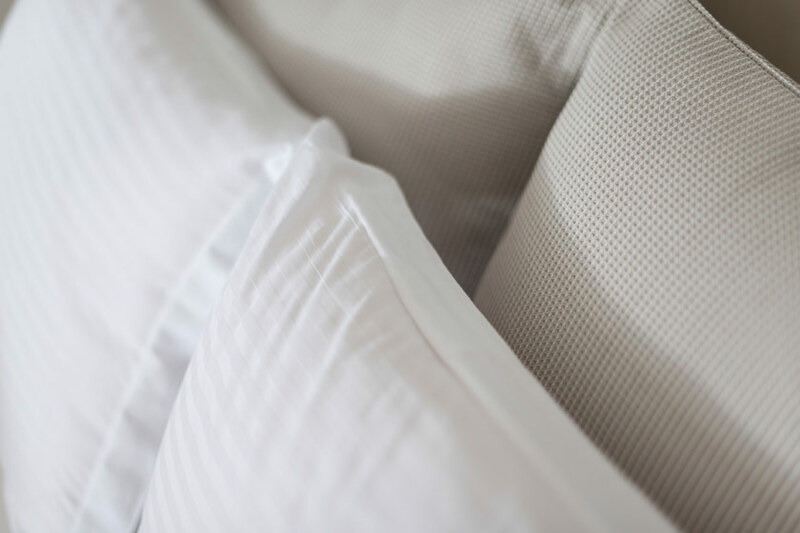 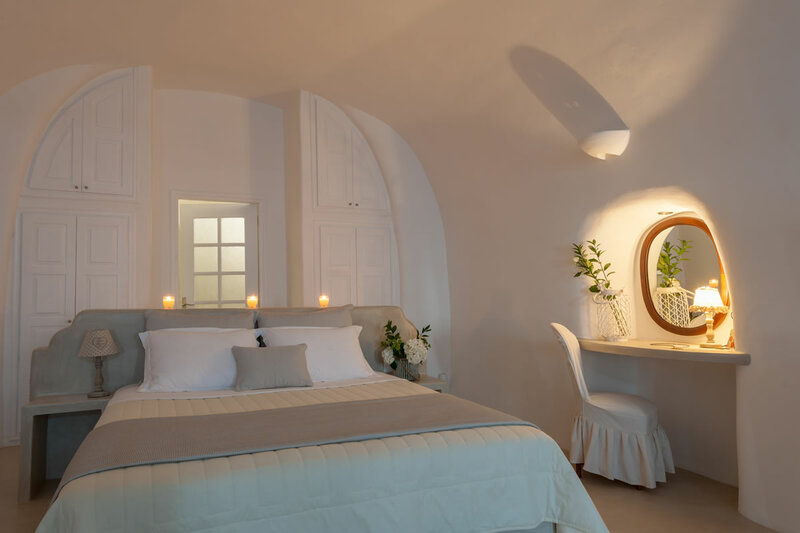 The Luxury Thirea Suite is ideal for honeymooners or couples that need comfort and upscale elegance. 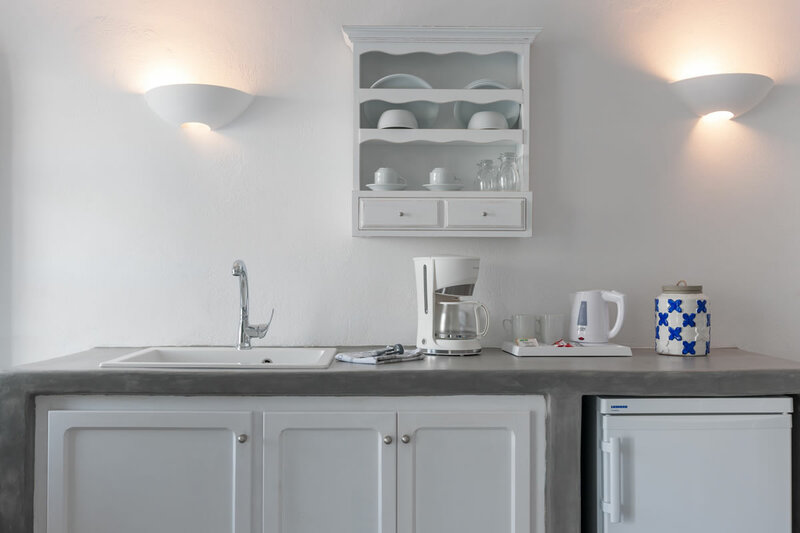 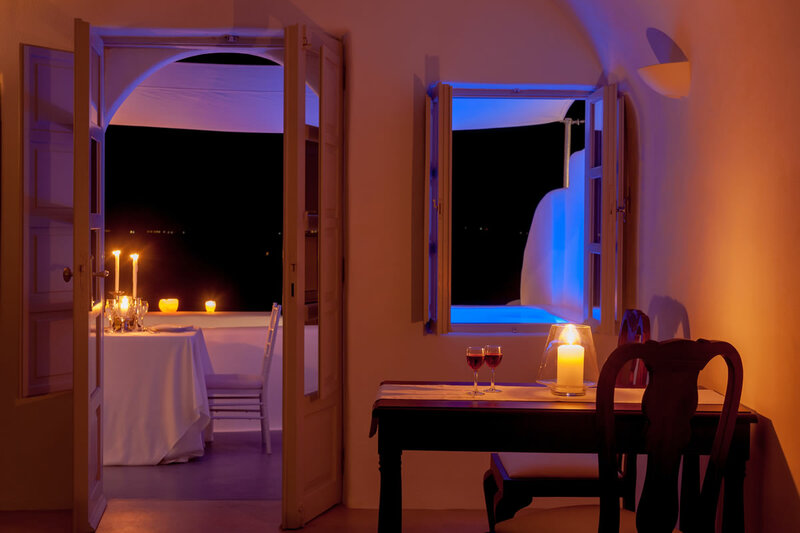 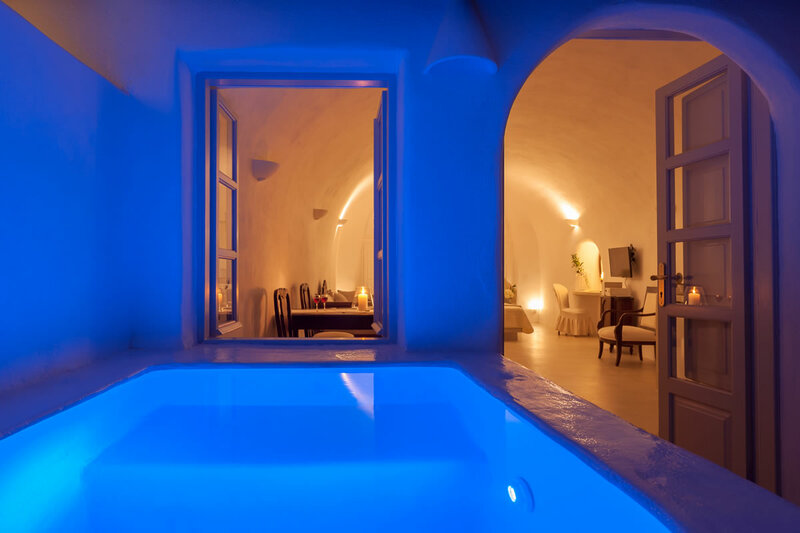 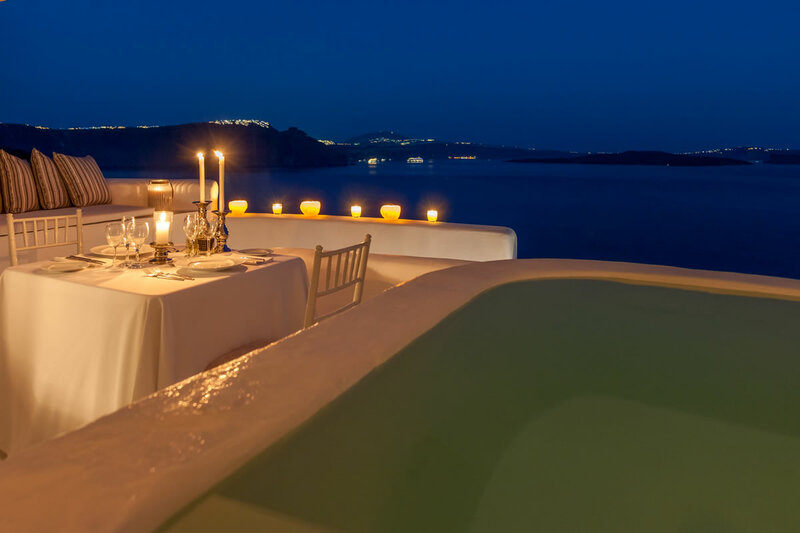 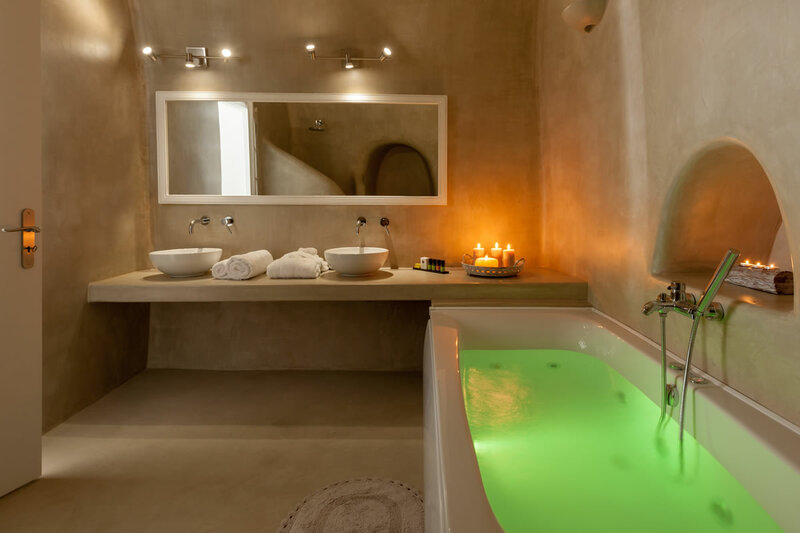 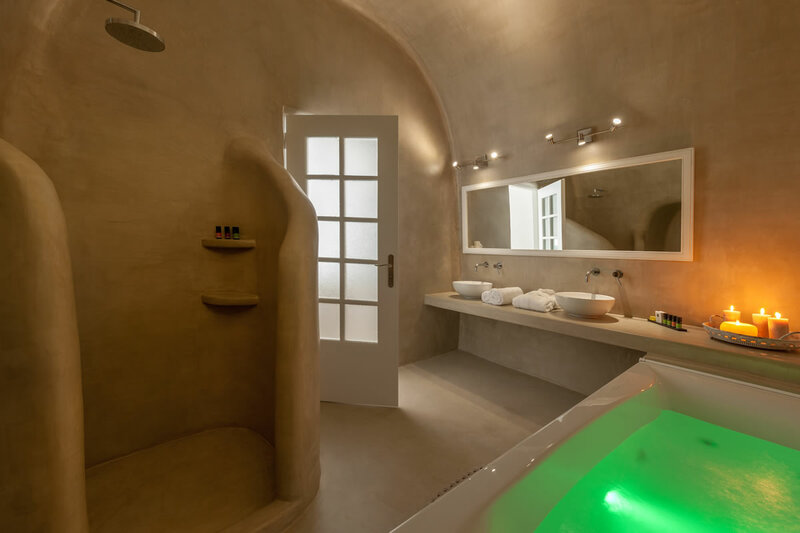 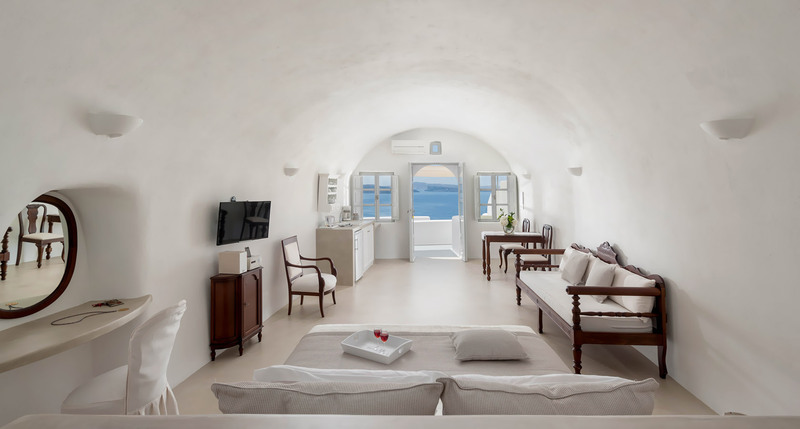 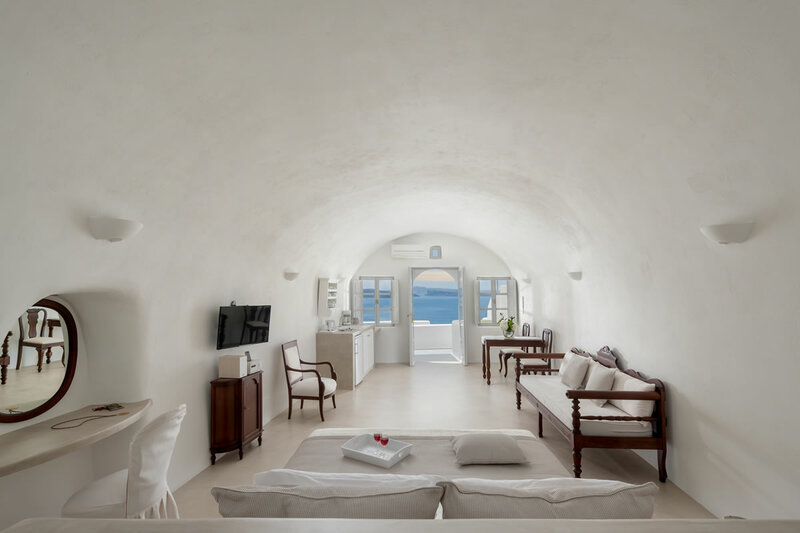 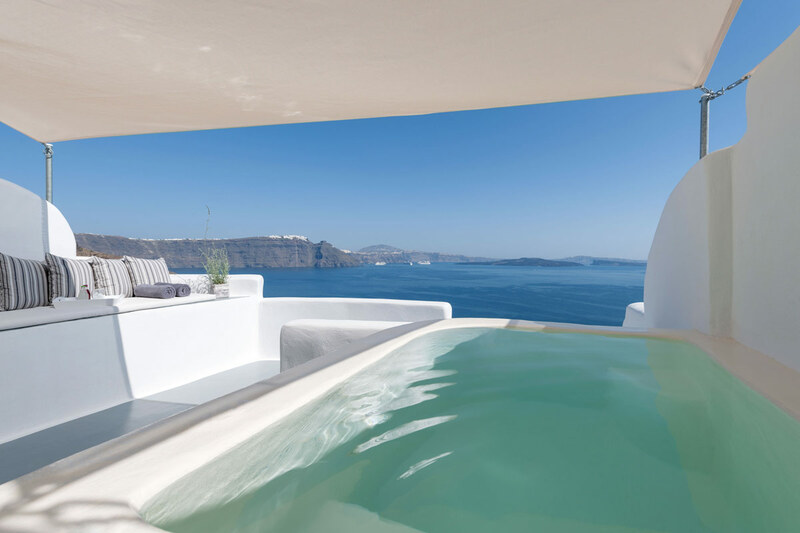 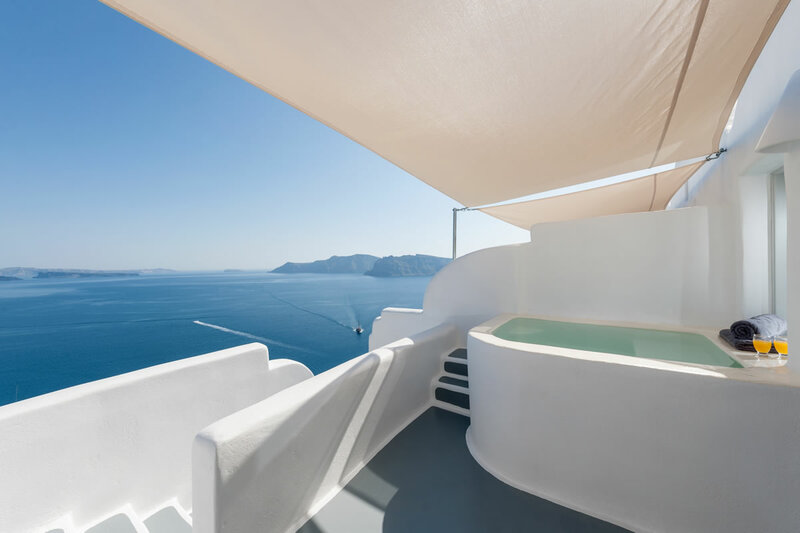 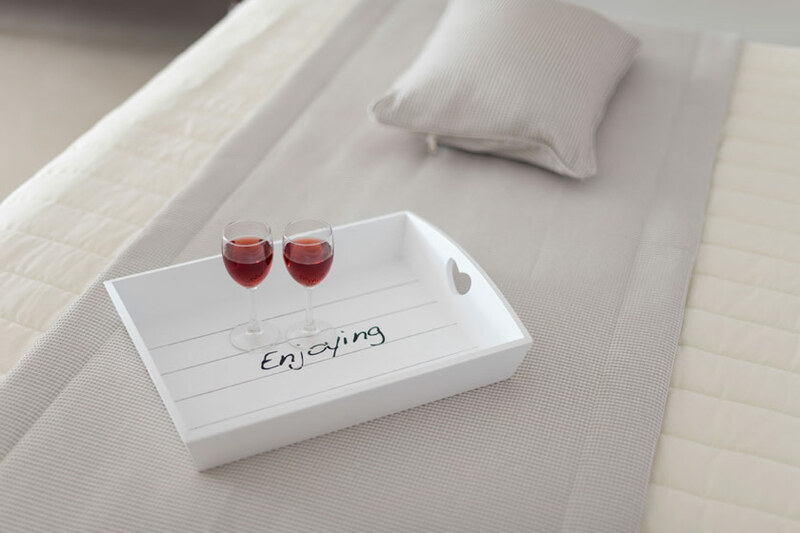 Discover the Luxury Thirea Suite, your own intimate holiday retreat in Santorini. 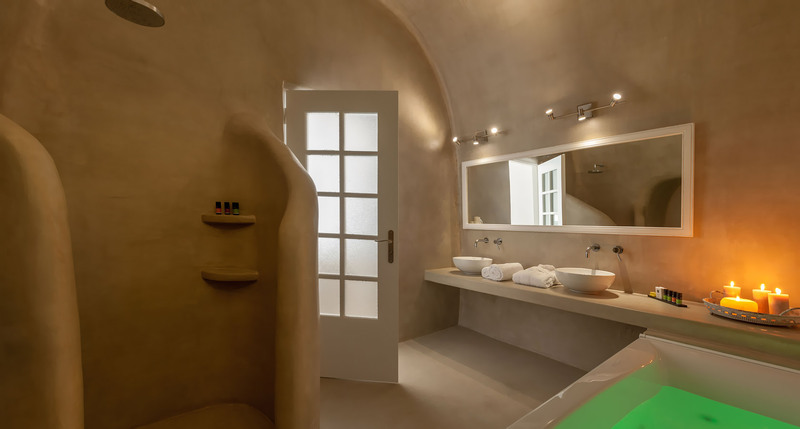 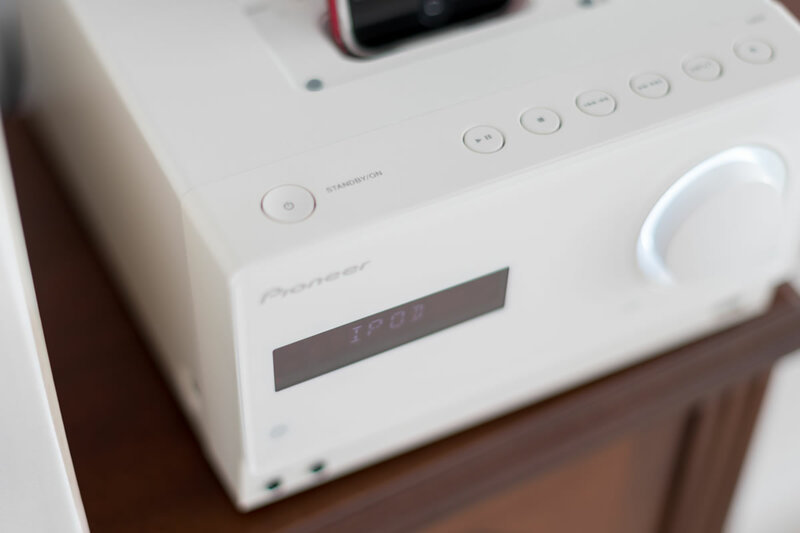 This suite offers privacy and ensures relaxation in its ample spaces and a comfortable ambiance. 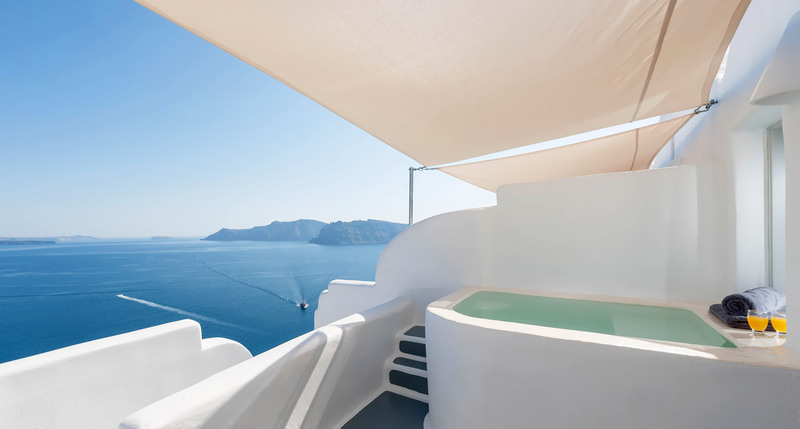 The private terrace is equipped with sunbeds and exterior jacuzzi tub and offers a magnificent Caldera view. 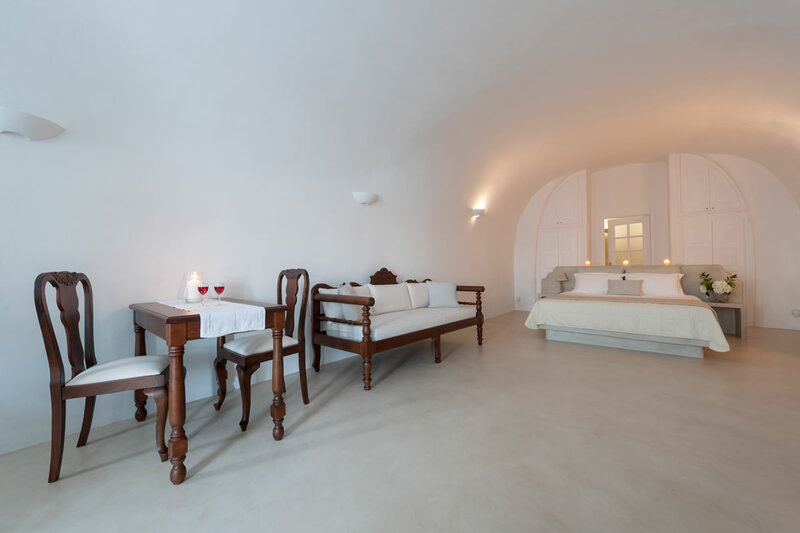 The Luxury Thirea Suite is facilitated with King Size bed and luxurious bathroom with hydro massage bathtub, shower and bath amenities.